Vortex Topo-Map Long Sleeve is rated 3.0 out of 5 by 1. This topo-map-inspired design looks great and is guaranteed to let you know where you stand - which is right where you are - as part of the Vortex Nation. 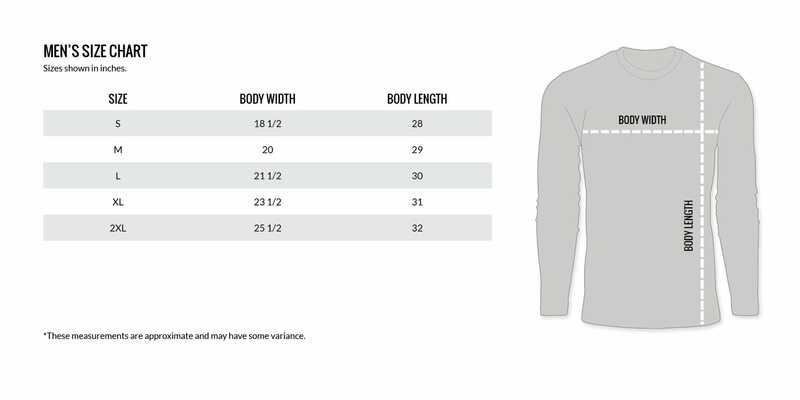 Experienced orienteers will tell you the long-sleeved design will keep your arms warmer than short sleeves in cooler weather - because they're longer and cover more of your arms. Here's the best news. All this incredibly useful navigation information comes free with the shirt. Rated 3 out of 5 by Rjohnanderson from Beware of expected use! I bought three shirts, all 100% cotton, and was expecting to use them as outer shells to wear once I arrived and was in the field office. They all were too thin and did not have arm cuffs. They make great undershirts and are warm if uses as such but they are not suitable as outer shells and considering the price, they are pricey undershirts and no one will see the logos. Overall, the shirts did not meet my expectations (planned usage) for the price I paid, but have worked out as expensive first layer shirts (undershirts).